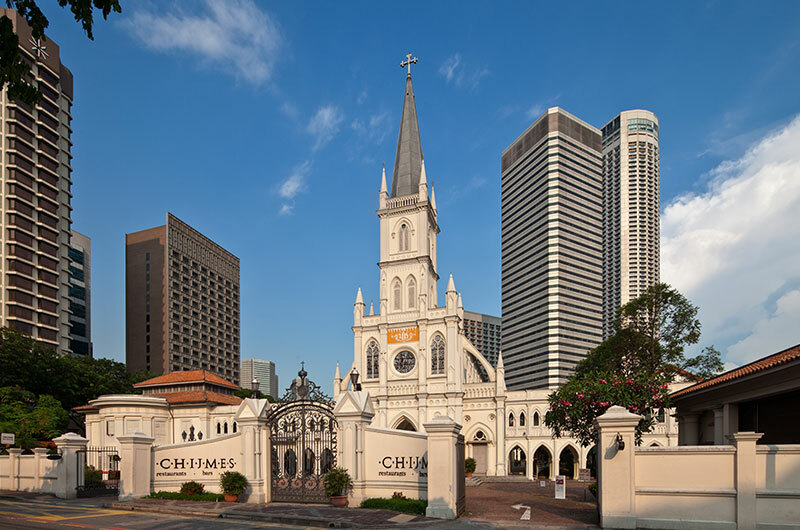 Bordered by Bras Basah Road, Stamford Road, Victoria St and North Bridge Road, the complex of convent buildings that today is CHIJMES, was a Catholic convent and school for 132 years. In 1854, four Sisters of the Holy Infant Jesus, led by Reverend Mother Mathilde Raclot, came to Singapore from Penang. Within 10 days of their arrival they had opened the first CHIJ School. The Sisters took in orphans, did needlework to support themselves and taught fourteen children. Secondary education began in 1905. After World War II, the school moved to new premises. The land on which the original school stood was acquired by the government and the chapel was deconsecrated in the 1980s. A part of the Sisters’ quarters was demolished to make way for the offices of the SMRT Corporation. But most of the buildings were preserved by The Heritage Board and redeveloped as CHIJMES, a multi-purpose food and entertainment compound popular with tourists. CHIJ has since split into CHIJ Secondary and CHIJ Primary, with both schools located in Toa Payoh. The CHIJ family of schools in Singapore now comprises 11 primary and secondary schools, and 2 children’s homes, with a total student population of close to 16,000 and a huge alumnus. Notable CHIJ alumni include Chan Heng Chee, Joanna Wong Quee Heng, Noeleen Heyzer, Jennifer Lee Gek Choo, Gloria Lim, Elizabeth Choy, Catherine Lim, Suchen Christine Lim, and Junie Sng Poh Leng. 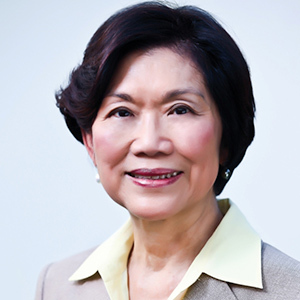 Chan Heng Chee was the first woman to graduate with first class honours in political science at the then University of Singapore, and later she was the first woman to head the Department of Political Science. After a distinguished career in academia, Heng Chee went on to make her mark in diplomacy. She was East Asia’s first female ambassador to the United States, representing Singapore in Washington for 16 years. Her tenure saw US-Singapore relations flourish in areas of trade, defence and security.